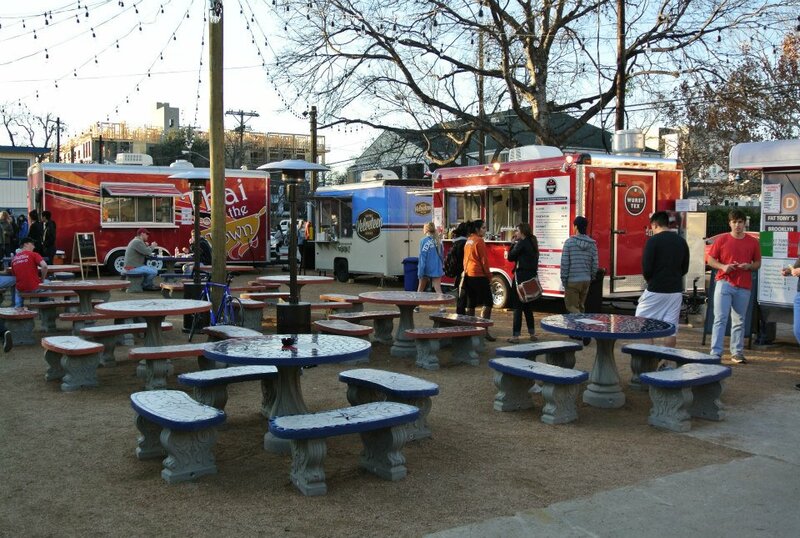 Few cities in the country can lay claim to such a dominant, overwhelming food trailer and food truck culture like we do here in our great city of Austin. You find’em in every direction, in random parking lots, behind dive bars and popular watering holes, in creative nooks and crannies that you might never expect. 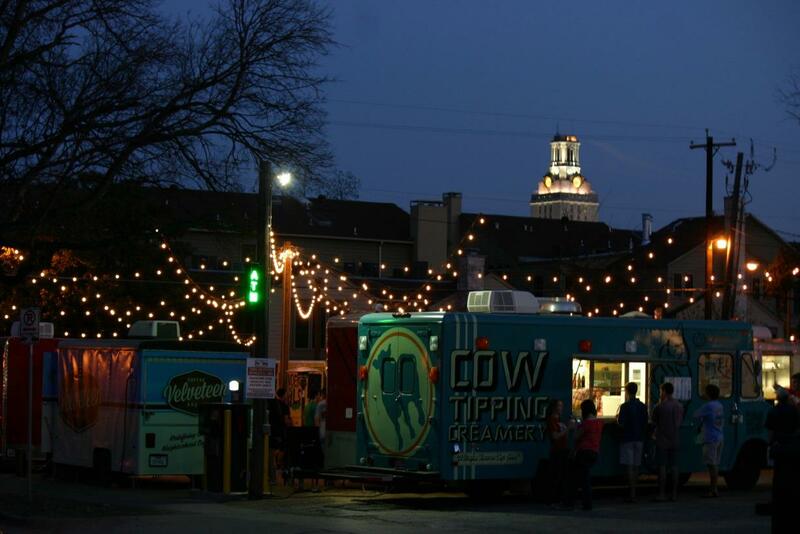 Yep, it’s true, there’s no escaping the tremendous food trailer scene in ATX. Second to only Portland, Oregon, from what I am told, in terms of food trailers per capita. Simply awesome. While there are a certainly a wealth of fantastic “trailer lots” with stellar options all in one place, I recently stumbled upon my absolute favorite…in my mind, the BEST “lil’ trailer park in Texas.” That’s right, the newly opened Rancho Rio Eatery, located in the heart of University of Texas’ West Campus, in sight of the UT Tower, just a stone’s throw off The Drag and the latest hot spot for the Longhorn Nation. 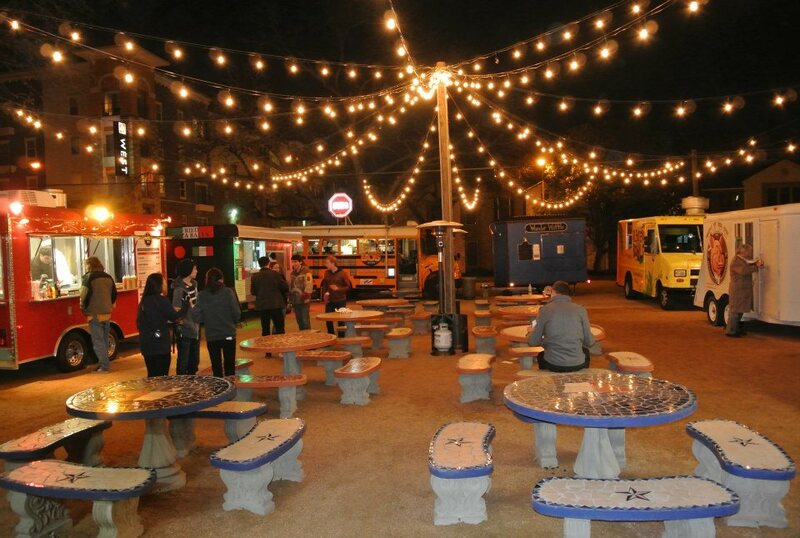 At the corner of 26th Street and Rio Grande, you’ll find a bastion of mobile food wonderfulness and a touch of genius, if you ask me. 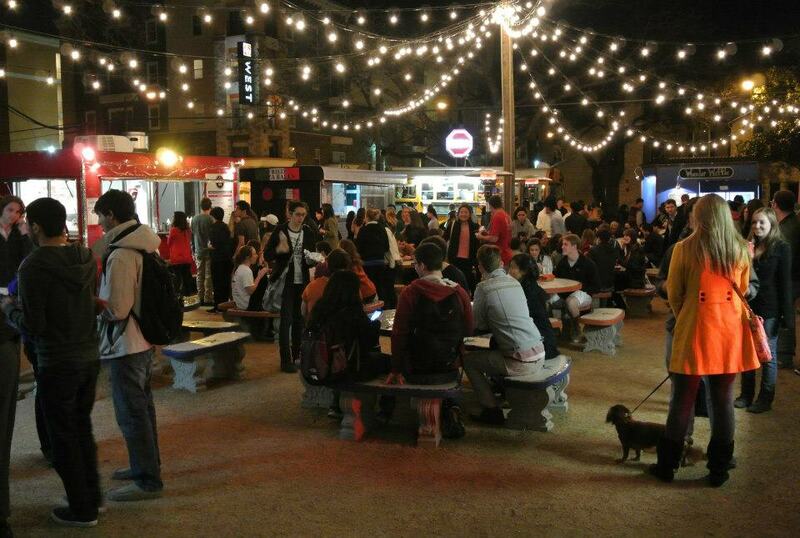 Eleven food trailers in all – well thought out, creatively developed and perfectly located. 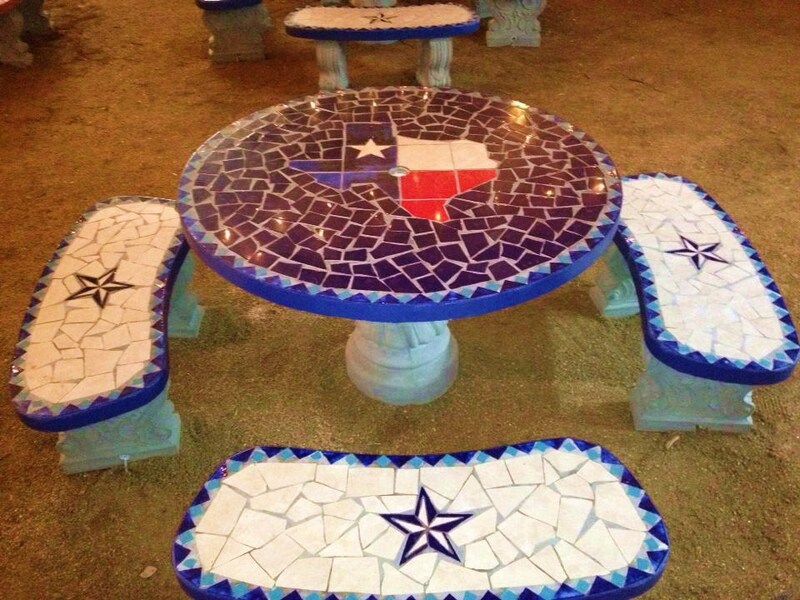 It’s here at Rancho Rio that you’ll find sensory overload. Trust me on this one. The options are nearly too much to handle. Reason enough for multiple visits to this “amusement park” of trailer food. They could easily charge cover for entry and get away with it. Yeah, I love it that much. Without further adieu, here are the eleven trailers that comprise Rancho Rio. I strongly urge and recommend you check’em out very soon. 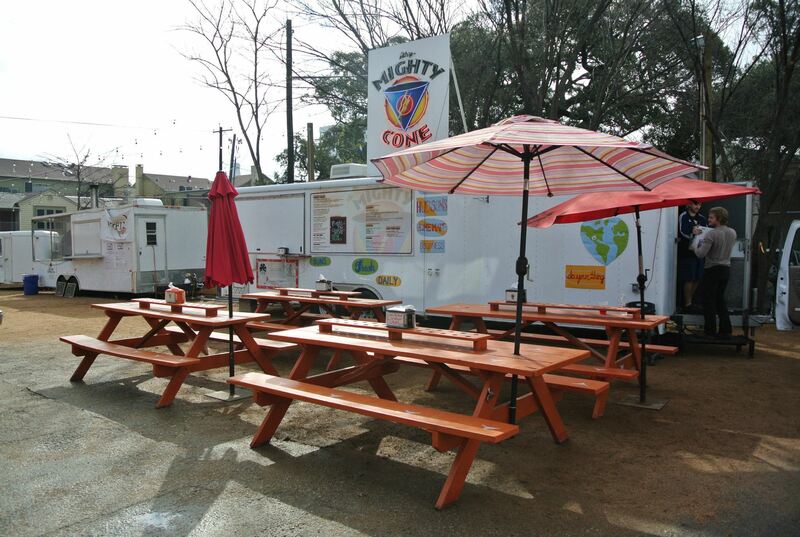 Happy food trailer dining, y’all! I gotta hit this place up in the next few weeks. Yes, sir, you do. And I am in need of a return visit, myself. Went on a Saturday night- the place was happening! So much great food here – couldn’t possibly try everything in a week. Of course, I’ll have to do the Mighty Cone shrimp and avocado again! Loved the layout and location of this place. Reminds me of a “Four Seasons” food trailer park. Can’t wait to eat there again (and again)!